Third-row crossover SUVs have become a popular and attractive choice for families searching for extra seating and space while not skimping on performance or style. 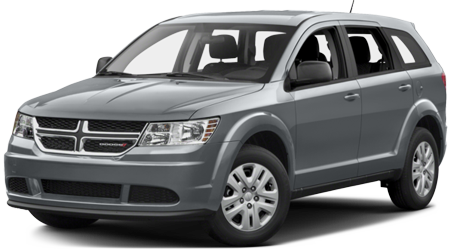 If you are in need of a crossover that seats more than five, but also comes with one of the most affordable prices tags in its segment, the 2016 Dodge Journey is the SUV to see. When you are ready to experience one of the most versatile and affordable SUVs on the market, visit us at Lakeland Dodge in Lakeland, for a test drive in this spacious and forward thinking vehicle. Our dealership serves patrons from Wesley Chapel, Tampa, Brandon, Wauchula, Brooksville, Orlando, St.Cloud, Kissimmee, and Winter Haven, so stop by for a test drive today! Dodge has always been a safety-minded automaker, but in a family SUV like the 2016 Journey that attitude matters even more. That is why the Journey takes pride in calling itself The Family Bodyguard. And with passenger protection features like a dual phase steel frame, front and rear crumple zones, multiple cabin airbags and a host of advanced options like the ParkView rear backup camera and the ParkSense assist system, it is difficult to disagree with that statement. The 2016 Journey also earned the highest score of Good from the Insurance Institute for Highway Safety for its side-impact, roof strength and moderate overlap tests. Overall, a buyer would be hard pressed to find a safer and more secure crossover SUV on the market. Here are a few other features the Journey has to offer, but if you are still not convinced, ask our expert Dodge representatives for a full safety breakdown, once you get over to Lakeland Dodge for that test drive. The 2016 Dodge Journey isn't just a family SUV even though it excels in that bracket with seating for up to seven passengers and a spacious interior it also dabbles as a performance-based crossover that offers responsive handling and advanced safety features to rivalry any other vehicle in its class. Overall, buyers may not find a better and more affordable option on the market and picking the 2016 Journey for its extra seating alone is an excellent choice to make. Visit us at Lakeland Dodge to get behind the wheel of the 2016 Dodge Journey and discover this truly spacious and forward thinking vehicle today! We are located 2335 Highway 98 N, Lakeland, FL 33805. Our expert team of representative are ready and waiting. We look forward to serving you today.